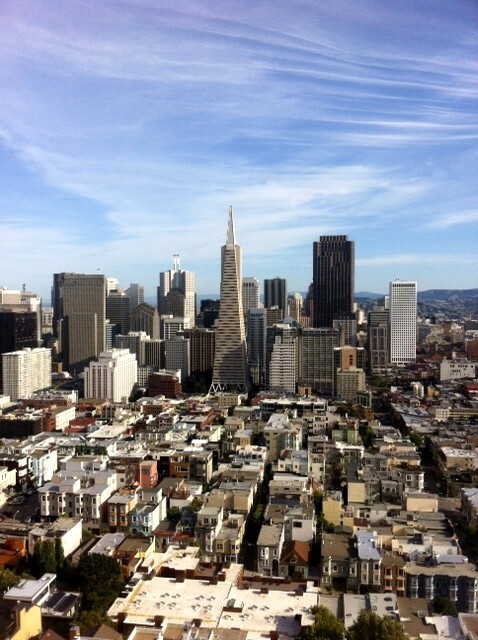 A couple of weeks ago the Atkins clan headed west to the City by the Bay–San Francisco, California. 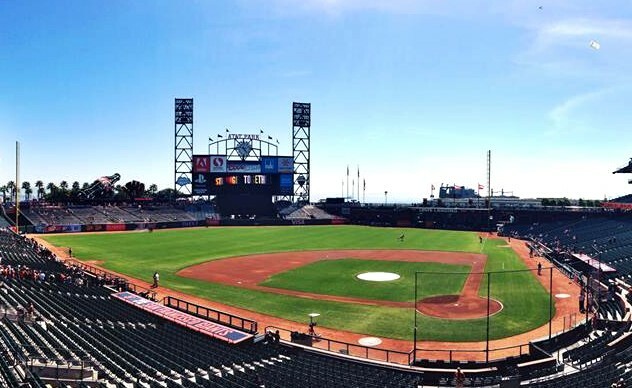 The Bay area has natural appeal to baseball fans because there are two teams, one on each side of the Bay. But there is so much more to see in San Francisco than the Giants and the Athletics. When we arrived in San Francisco, our first stop was Pier 39. We could see the Golden Gate Bridge, Alcatraz Island, and Angel Island from the pier and we stopped by to see the sea lions lounging in the Bay. We walked to Bistro Boudin for dinner and enjoyed some of their world-famous sourdough bread. After dinner we made our first trip across the Golden Gate Bridge, exited on the north end, and made several pictures of San Francisco from across the Bay. On our first full day we visited the Marin Headlands, which is part of the Golden Gate National Recreation Area. We saw Fort Barry, Fort Cronkhite, the NIKE Missile site, and the 150-year-old Point Bonita lighthouse. 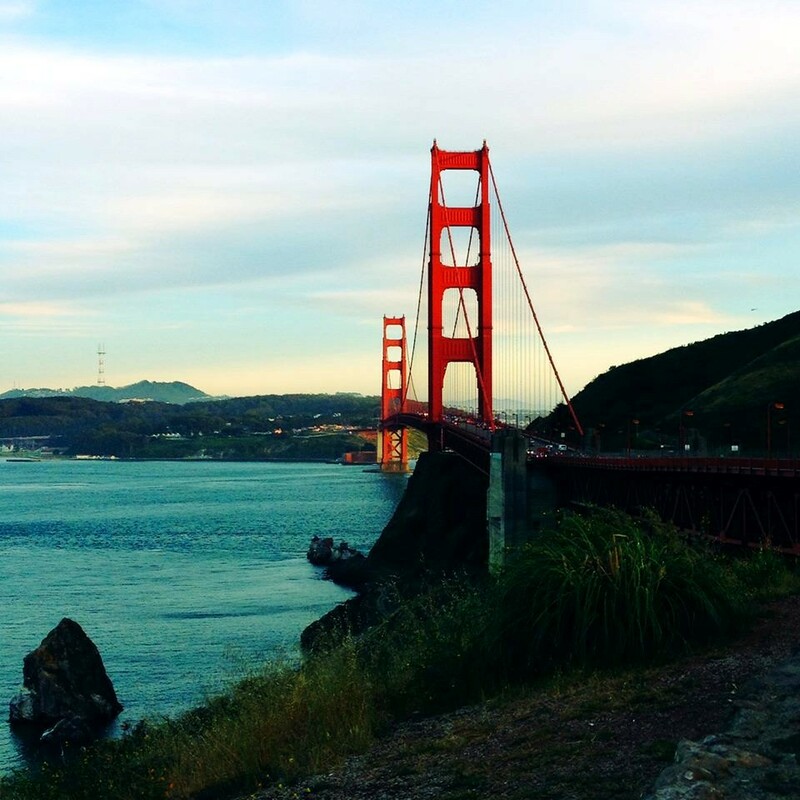 The drive along Conzelman Road from the northern foot of the Golden Gate Bridge to Point Bonita has several spots to pull over for magnificent views of the Golden Gate Bridge, Alcatraz Island, Angel Island, and the city of San Francisco. We toured the Point Bonita lighthouse and then made several pictures from high above the Bay. We headed north and crossed the Richmond-San Rafael Bridge (officially the John F. McCarthy Memorial Bridge) into Oakland for the Monday night match-up between the first-place Athletics and the Chicago White Sox. The Richmond-San Rafael Bridge is 5.5 miles long and is the northern-most of the east-west crossings of the San Francisco Bay. The bridge has a huge dip in the center, making it seem like a long roller coaster ride. 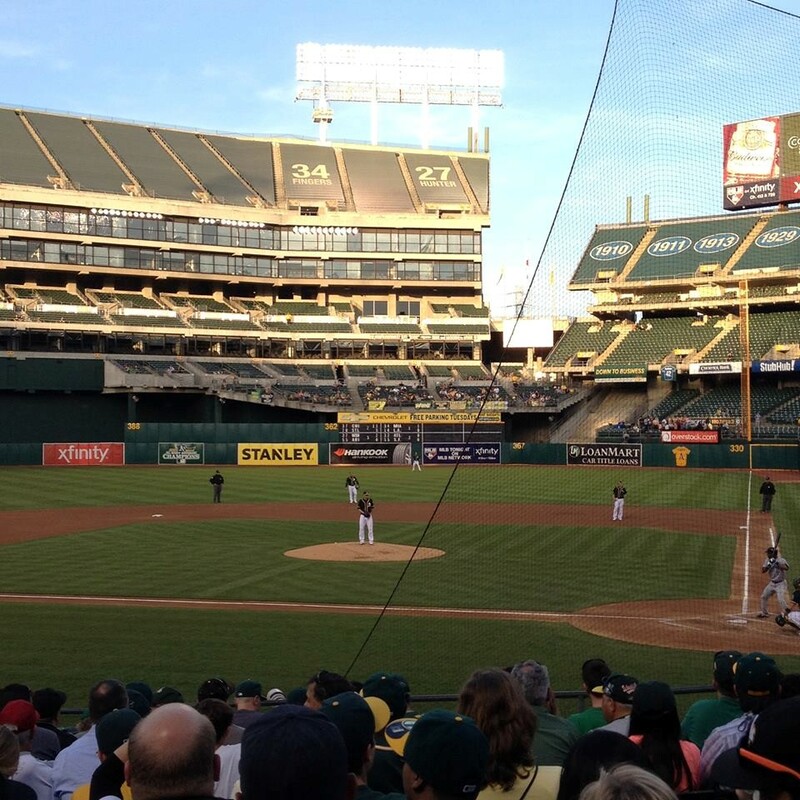 The Athletics play in O.co Coliseum, which doesn’t look any better than the name sounds. The Coliseum has been home to the Athletics since they arrived in Oakland in 1968 and honesty compels me to say that they are way overdue for a new ballpark. Oakland is the last of the now old-style modern stadiums built in the 1960s and it has not aged well. The venue aside, we were treated to a fine evening of baseball. Right-hander Jesse Chavez held the hard-hitting White Sox to one run through the first eight innings and took a 5-1 lead into the ninth. But after a lead-off home run from Jose Abreu, Athletic’s manager Bob Melvin turned the game over to the bullpen and things got interesting. Fernando Abad replaced Chavez and promptly walked Adam Dunn; that was the end of the night for Abad. 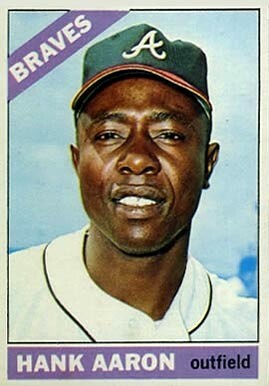 Jim Johnson entered the game and surrendered a double and a single, making the score 5-3; that was the end of the night for Johnson. Next came Sean Doolittle to face pinch hitter, Paul Konerko, who lifted a sacrifice fly to center field, making the score 5-4. But Doolittle struck out the next two hitters to preserve the win. Even though the Athletics were in first place and had more wins than any other American League team, only 10,120 fans attended the game on a perfect night for baseball. We left the stadium, strolled to our car, and drove away as if we were leaving a shopping mall. There were no traffic issues whatsoever. On our second day we went back across the Golden Gate Bridge into San Francisco and browsed around Pier 39 until it was time for our ferry ride out to Alcatraz Island. If you ever visit San Francisco, you must take this tour. In 1972 Alcatraz Island became a national recreation area and is part of the National Park Service included in the Golden Gate National Recreation Area; it received designation as a National Historic Landmark in 1986. Alcatraz Island served as a military fort, a military prison, and a federal penitentiary. While it is most famous as the prison that housed Al Capone and Robert “the Birdman” Stroud, Alcatraz was a prison for only 20 years (1934-1963) before closing due to the high cost of operations. We hiked the quarter-mile from the dock to the prison–a 130-foot rise–while listening to our guide, Ranger Matt, give us the history of the island. Ranger Matt loves his job and told us, among other things, how the island is a sanctuary for birds. The Western Gull is the dominant species on the island, but among the other birds you can see are Snowy Egrets, Night-Herons, Black Oystercatchers, Cormorants, and Pigeon Guillemots. 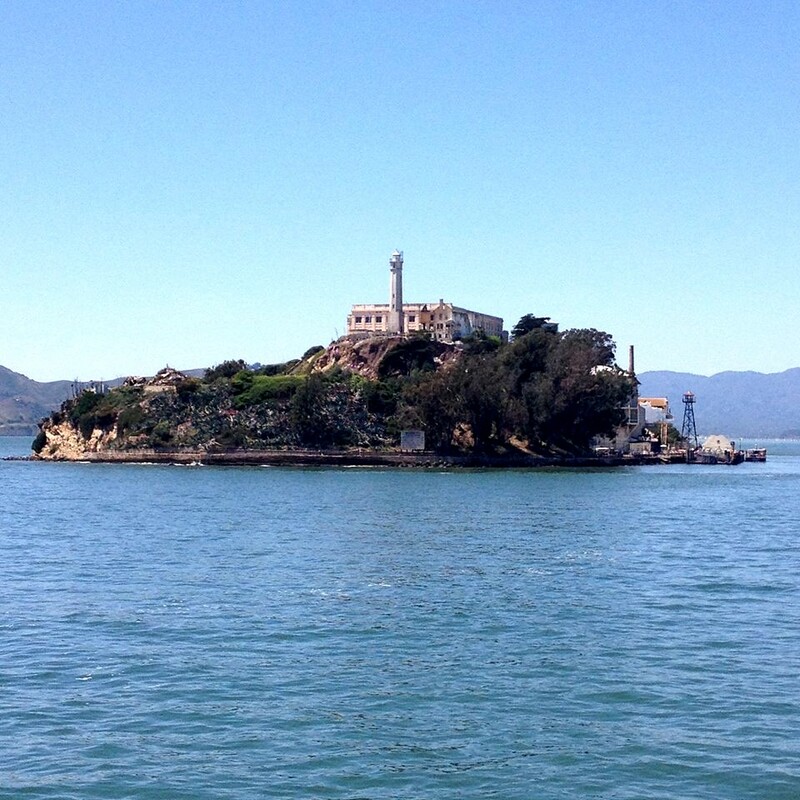 Interestingly, Robert Stroud, the Birdman of Alcatraz, never had any birds while on the island. The plants and flowers are beautiful, as well, and Alcatraz Island is home to the first lighthouse on the western coast of the U.S. In 1969 a group of American Indians occupied Alcatraz Island in an attempt to claim it and establish a cultural and educational center. After 18 months U.S. Marshals removed the last of the occupiers. We walked through the building listening to a recorded tour guide and visited the cell blocks, the cafeteria, the offices, recreation yard, and lighthouse. 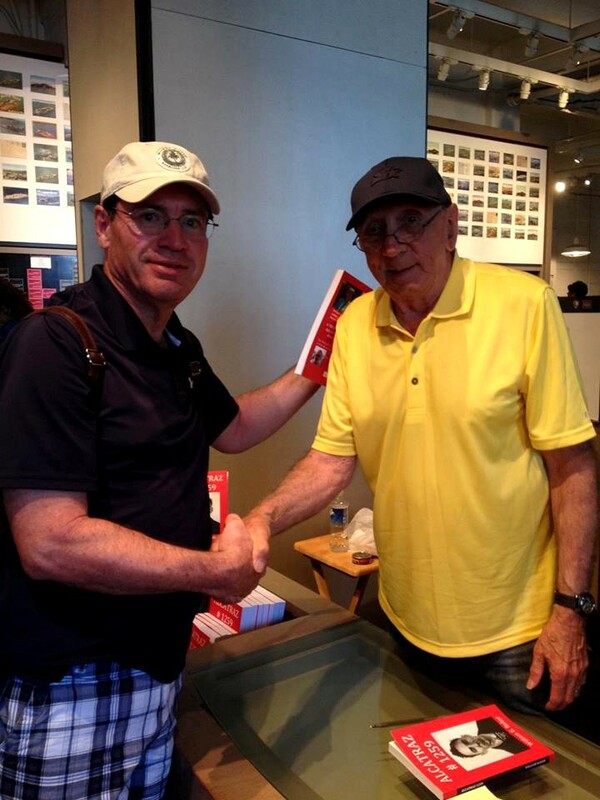 When we reached the gift shop, we met William “Bill” Baker, who at age 83 may be the last surviving inmate from Alcatraz. Baker was signing and selling copies of his book, Alcatraz #1259, so I got in line and made a purchase. Baker asked us where we were from and he then told us that he grew up in Bowling Green, Kentucky and that he spent lots of time in Nashville, Clarksville, and Fort Campbell. After we got back to the mainland we caught a street car and then jumped on a cable car that took us up and over some of the famous hilly streets of San Francisco. Our third day began with a trip south across the Gold Gate Bridge to AT&T Park, the Dealey Plaza of the baseball world, home of the San Francisco Giants. We were to witness a battle of first-place teams, as the Atlanta Braves were in town. The original name of the park was Pac Bell Park. It became SBC Park in 2003 after they gobbled up Pacific Bell and became AT&T Park after SBC merged with AT&T. I suppose it will remain AT&T Park until the Giants’ current cell phone agreement runs out and they are due an upgrade. The park opened in 2000 and is situated right against the San Francisco Bay. Just over the short right-field pavilion is McCovey Cove where many a “splash down” homer has entered the Bay. It is a beautiful park, but it’s difficult for me to feel good about the place since it is the scene of so many crimes against the sport of baseball. In 2002 Barry Bonds somehow managed to fit his over-sized cranium onto the field at AT&T Park and further tarnish Roger Maris’ single-season home run record. Commissioner Bud Selig stood idle as Bonds continued his performance-enhancing-drugs-induced rampage on the record books. AT&T Park is the site where Bonds committed the most heinous crime against baseball and stands as a monument to the sport’s steroids era. But I digress. The concourse at AT&T Park has lots of pictures of great Giants players of the past and they have a display featuring their World Series trophies from 2010 and 2012. They have a display case with the bat Bonds used to make a mockery of baseball’s legitimate home run record. I searched the display for a hypodermic needle, but the Giants have chosen not to display the actual source of Bonds’ power. As a Braves fan the game we witnessed wasn’t much to see. The Braves jumped out in front 2-0 on a single by Tyler Pastornicky and doubles from Freddie Freeman and Chris Johnson. With Julio Teheran on the mound for the Braves, we felt pretty good. But it was not Teheran’s day; the Braves’ lead was gone before he even recorded an out. Lead-off man Gregor Blanco walked and Hunter Pence followed with a home run. Before the bottom of the first was over, the Giants had a 3-2 lead. The Giants tacked on another run in the bottom of the second inning and then the Braves tied it in the top of the fourth on doubles from Evan Gattis and Johnson and a triple from Andrelton Simmons. Manager Fredi Gonzalez stuck with Teheran, who struck out the first batter he faced in the bottom of the fourth, but then surrendered three straight singles and the lead was gone. Alex Wood came on and got out of the inning without further damage, but was not so sharp when he returned for the fifth inning and the rout was on. The Giants won going away 10-4. Unlike the Monday night game in Oakland, a crowd of 41,253 showed up for the afternoon game played in record-breaking heat at AT&T Park. After the game we headed north, back across the Golden Gate Bridge, to the Muir Woods National Monument. 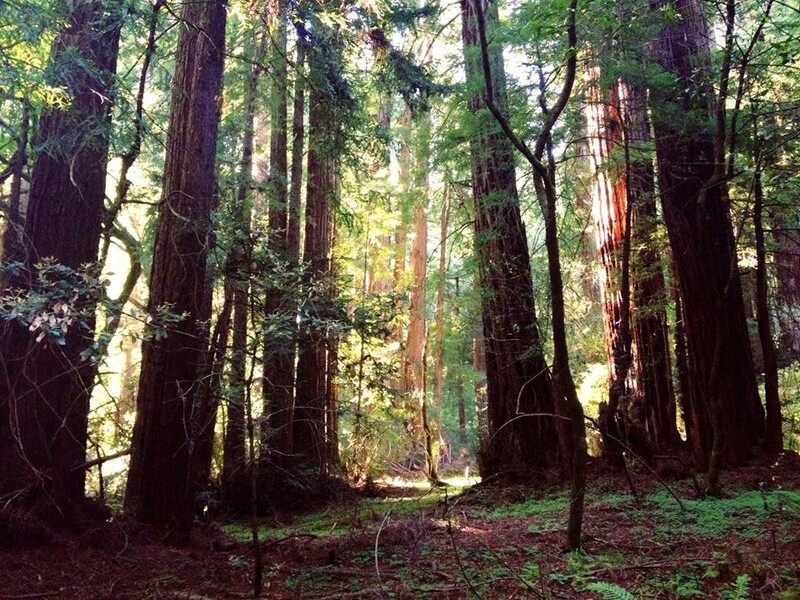 Muir Woods is an old-growth forest of coastal redwoods, the tallest living organism in the world. The Muir Woods National Monument is part of the Golden Gate National Recreation Area. By the early part of the 20th century most of the redwood forests had been cut. This area north of the San Francisco Bay, called Redwood Canyon, was relatively inaccessible and remained uncut. Congressman William Kent and his wife, Elizabeth Thacher Kent, purchased the woods from the Tamalpais Land and Water Company for $45,000, intending to protect the redwoods. In 1908 President Theodore Roosevelt declared the area a National Monument and it was suggested that the area be named for the Kents. However, Kent insisted that it be named after John Muir, whose efforts helped establish the National Park System. As soon as you enter the trail through the Muir Woods, you are among the coastal redwoods and they are a daunting and humbling sight. According to the Muir Woods National Monument website, the tallest coastal redwood in the Muir Woods is 258 feet. We hiked through the woods on a boardwalk trail and then took the Hillside Trail back to the tour’s starting point. Along the way we saw several Steller’s jays and heard pileated woodpeckers banging around high above our heads. Near the end of the trail Sean and I spotted some movement about 15 feet above the ground on the trunk of a huge redwood. 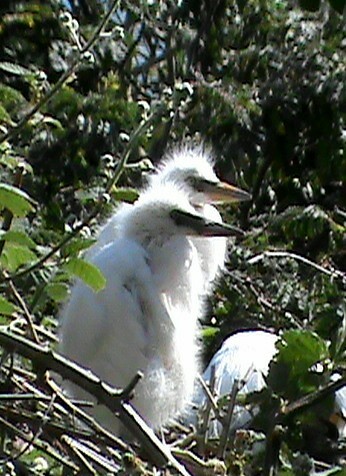 I was able to zoom in with my video camera and see a hatchling about the size of my thumb sitting in a nest tucked into the bark of the tree. I sent a photo and some video of the bird to a representative from the National Park Service in hopes of someone being able to identify the species, but have not yet heard back from them. After leaving Muir Woods we drove the winding road back toward the interstate and made a stop at Muir Beach, a cove along the coastline and home to many shorebirds. If you go to San Francisco you must make time for a stop at the Muir Woods National Monument. 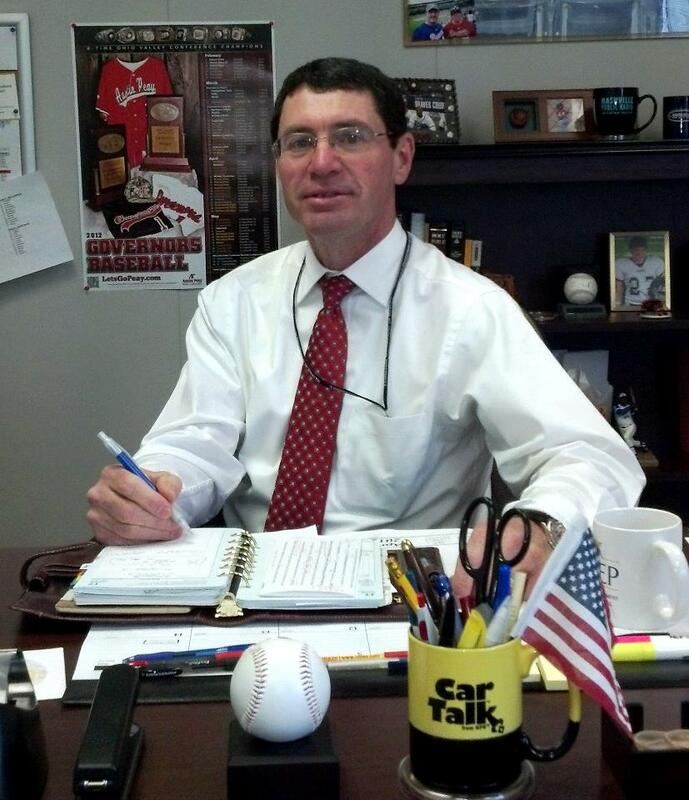 You need to plan to be their by 9:00 a.m. or wait until 4:00 p.m. because parking is limited. The next day we headed further north through Sonoma to Napa to visit the wine country. We are not wine drinkers, but we thought it would be interesting to see the Napa Valley and tour a winery and learn how wines are produced. We visited Mumm Napa and took a guided tour of their beautiful facility and grounds. Mumm Napa produces sparkling wines and, as we learned during the tour, produced the sparkling wine that the San Francisco Giants used to celebrate their victory in the 2010 World Series. They even have bottles of wine that feature the Giants’ logo on the label. After leaving Napa we headed south and crossed the San Francisco-Oakland Bay Bridge back into San Francisco. This magnificent bridge spills you out in downtown San Francisco very close to AT&T Park. Prior to the opening of the Bay Bridge in 1936, the only way for drivers to get from San Francisco to Oakland was by ferry; the Golden Gate Bridge opened in 1937. At 4.5 miles, the Bay Bridge was the longest bridge in the world at the time it was built. We boarded an open-air bus and took a tour of downtown San Francisco. 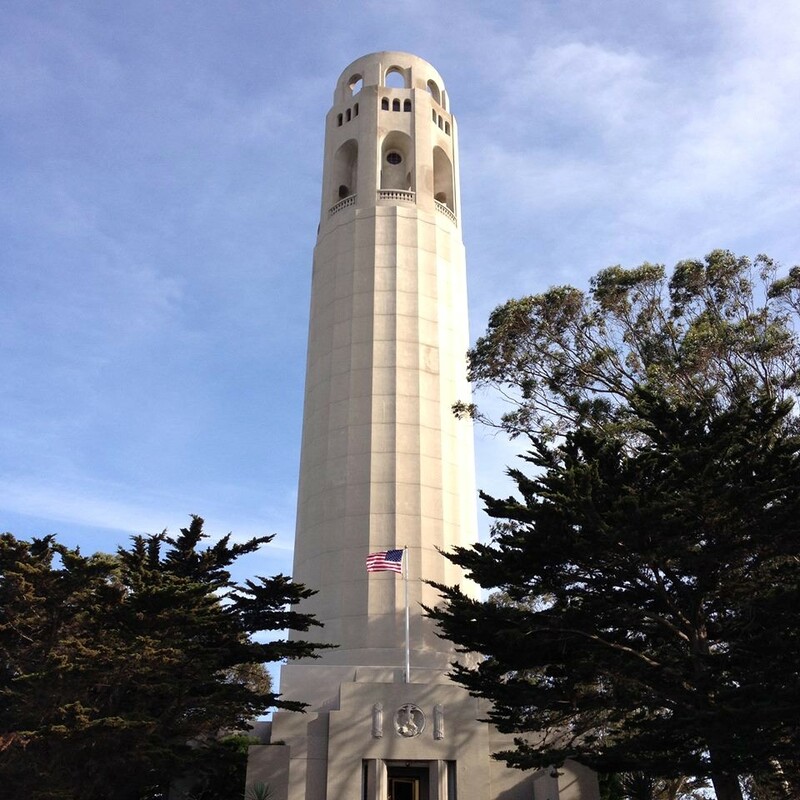 We got off the bus for extended visits to the Palace of Fine Arts and Washington Square, where we were able to go to the top of the Coit Tower in the Telegraph Hill district and get wonderful views of downtown San Francisco and the Bay. We crammed as much activity into our time in San Francisco as we could, leaving our hotel early each morning and not returning until late each night; I’m sure we never even scratched the surface of all there is to see and do in the City by the Bay. Another great article. Thanks for writing them. Thanks. I meant for this to publish this afternoon at 2:00, but WordPress uses military time.